Very Good. 0330335782 ALL BOOKS SHIPPED WITHIN 1 DAY OF PURCHASE! Very Good. 1847085377 ALL BOOKS SHIPPED WITHIN 1 DAY OF PURCHASE! Very Good. A work of criticism, biography and literary detection and an examination of the means by which biographers justify their ends. Malcolm takes as her example the various biographers of the poet Sylvia Plath and their conflicts with the Plath estate. 224 p.
Good. A work of criticism, biography and literary detection and an examination of the means by which biographers justify their ends. Malcolm takes as her example the various biographers of the poet Sylvia Plath and their conflicts with the Plath estate. 224 p.
Good. A brilliant, elegantly reasoned meditation on the nature of biography. Examines the biographies of Sylvia Plath. 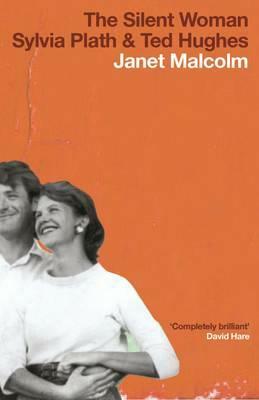 224 p.
Janet Malcolm's work is an immensely satisfying read about some of the writing and publishing problems encountered by the biographers of Sylvia Plath; partly due to the over -zealous protection of the " facts of her life" by her literary heirs. Always impeccable in its facts, this work of non-fiction still manages to be extremely witty and to read like a novel.